• Police arrested a 32-year-old Sabina male for alleged shoplifting after responding to a call about it at a gas station on East Main Street at 1:42 a.m. on Oct. 22. • At 9:28 a.m. on Oct. 22, a 45-year-old female reported that within the last three days someone stole multiple items from her vehicle at her apartment on Rombach Avenue. The report lists a backpack, keys, and the victim’s birth certificate as the items stolen. 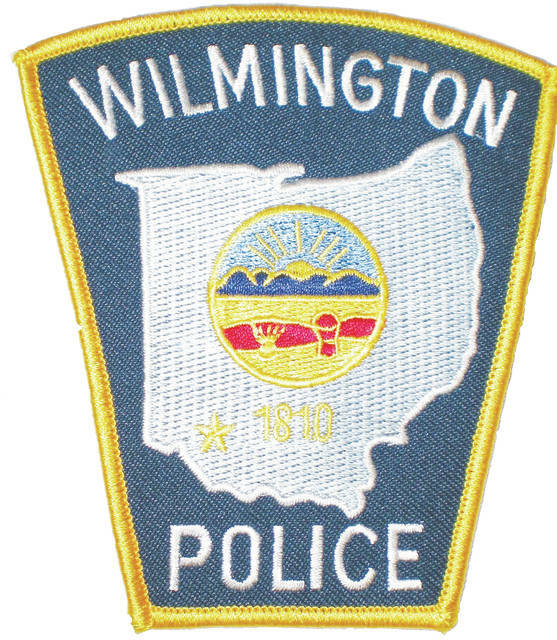 • At 11:32 a.m. on Oct. 22, a 21-year-old Leesburg female reported she was receiving threats from a 36-year-old Wilmington female and her daughter over Facebook. The victim has blocked the two from texts and Facebook and emailed screenshots of the threats to authorities. Police attempted to make contact with the suspect. • Police responded to a grocery store on Rombach Avenue at 11:04 p.m. on Oct. 22 on a theft report. A 57-year-old male reported he rode his bike to the store to get some items and left the bike by the entrance. When he came out 5-10 minutes later, the items in his bike were stolen. The stolen items include an Eco Speaker and a nylon lunchbox. • At 5 p.m. on Oct. 23, police responded to the 900 block of Fife Avenue on a theft report. A 39-year-old male resident advised someone stole his son’s neon green Next BMX bike. • At 12:08 p.m. on Oct. 24, a 45-year-old female reported her 18-year-old son’s backpack was stolen at the community college on Davids Drive. Items in the backpack included the victim’s wallet which had his ID, credit card, and $85 in cash. There was also a textbook and two workbooks. • At 12:13 p.m. on Oct. 24, a 48-year-old male was arrested after police responded to a West Main Street residence on a domestic violence call. • Emergency services responded to the 300 block of Dana Avenue for a suspected overdose at 5:02 p.m. on Oct. 24. As police arrived, Narcan was being administered by paramedics to a 36-year-old Hillsboro male who was taking about three breaths per minute and was turning blue. The victim’s family advised that he had been on Suboxone, but they did not know what he had taken that day. They said that he had taken a shower before he had collapsed. The victim was administered Narcan and then began breathing on his own. He eventually came to and was assisted to his feet and to the life squad and taken to Clinton Memorial Hospital. No drugs or paraphernalia were found on his person. Once at CMH police talked with the victim and asked what he had taken. He denied using any illegal drugs or opiates. He was told that since the Narcan was what brought him back from his barely breathing comatose state, he had to have been under the influence of opiates. He still maintained he hadn’t taken any drugs and had no idea what had happened to him. • At 7:47 p.m. on Oct. 24, a 41-year-old female reported that she received a call from a 54-year-old who she had a protection order against. The number originated from a Hamilton County phone number. Follow-ups were pending. • Officers responded to a gas station on East Main Street on a shoplifting report at 2:19 a.m. on Oct. 25. According to the report, a 26-year-old male is suspected of taking a coffee drink and a lighter. • At 9:34 a.m. on Oct. 25, police responded to a shoplifting report at a store on East Main Street. A 31-year-old male is suspected of taking a thing of eye drops. • At 11 a.m. on Oct. 26, a 33-year-old male reported that multiple items were taken from his vehicle overnight while it was parked at his residence at the 500 block of North Walnut Street. Items taken include $20 in change, a battery jump pack, a sleeping bag, and possibly the victim’s expired driver’s license. • Police took a 41-year-old male into custody and received a court summons after police responded to a suspicious person report at a business on East Main Street at 3:32 a.m. on Oct. 27. The subject was a suspect in a theft investigation and was found with two bags with meth residue and a glass pipe. • Police arrested a 22-year-old female for alleged criminal trespassing after responding to assist a citizen at the 1-99 block of Jodie Lane at 12:30 a.m. on Oct. 28. • At 9:01 a.m. on Oct. 28, a 32-year-old female reported her son’s Tony Hawk modeled bike overnight at their residence at the 1100 block of South South Street. • At 11:29 a.m. on Oct. 28, a 34-year-old male reported the taillight on his Chrysler PT Cruiser was busted sometime overnight at his residence at the 700 block of West Locust Street. The caller suspected it was a 34-year-old female who is “the mother of his children.” He said the two got into a verbal argument the previous night and believed she did it after the argument. It was discovered the vehicle belonged to her and after making contact, she told police she didn’t do it nor did she know who did do it. • At 11:53 a.m. on Oct. 28, police responded to the 1-99 block of Reba Drive on a 911 check. A 33-year-old female advised that a 33-year-old Jamestown male was at the apartment and asked for the keys to her vehicle to get something out of it. The victim advised that the suspect took her vehicle without her permission and she wanted charges filed for him taking her vehicle. Later the Hillsboro PD located the vehicle and engaged in a pursuit. They chased the car to State Route 730 near Sprague Road where it appeared to run out of fuel. The suspect was taken into custody. The victim claimed her vehicle but said her black Coach wallet was missing. It contained her social security card, her children’s birth certificates and three ATM cards.